Located in English Harbour, Abracadabra has all the right ingredients—great location, Southern Italian cuisine, a lively crowd—for a magical night out. (268) 460-2701; www.theabracadabra.com. Located next to the fruit and vegetable market beside the West Bus Terminal, this is a colorful gathering of local artists at work making vegetable-based soaps, sea-shell art, leather bags and straw hats. www.antiguanice.com. This idyllic garden restaurant tucked in the heart of St. John's is a perfect oasis in which to escape from the hustle and bustle of town. (268) 562-6289. English Harbour 5-Year Antigua Rum and Susie’s Hot Sauce are local favorites that can be purchased at any liquor or gift shop in Heritage Quay (or in the airports departure lounge). Le Bistro was Antigua's first authentic French restaurant, established some 30 years ago. The atmosphere is romantic, and Patrick Gauducheau was named one of the world's great chefs by the Discovery Channel. Hodges Bay, St Johns. (268) 462-3881; www.antigualebistro.com. The Rocks bar—with almost panoramic views—is the perfect place for a sunset aperitif, with a backdrop of chilled lounge beats and amazing views of the island. (268) 562-4510; www.sheer-rocks.com. On Sunday evening, dance to the beats of pulsating steel-pan music and the sweet sound of the latest Caribbean rhythms while experiencing the most breathtaking sunset on Antigua. (268) 460-1785; www.shirleyheightslookout.com. Set within the National Parks on the southeastern part of the island, this panoramic view takes in English and Falmouth Harbours, Guadeloupe and Montserrat’s active volcano. www.antiguanice.com. Swim, pet and feed Southern Stingrays in their natural environment while learning all about these amazing animals from an experienced guide. You can also snorkel along coral reefs with colorful fish in calm waters. (268) 562-7297; www.stingraycityantigua.com. 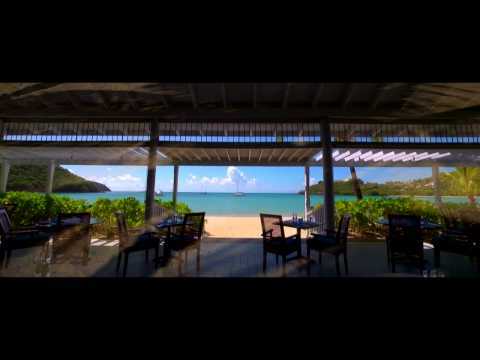 オーナー 情報: Carlisle Bay Resort, Ltd.